Still suffering a hangover from the Spring Carnival? Looking for another reason to frock up with a hat? Well, this is the perfect opportunity to ‘get back on the horse’. Now, be honest…. 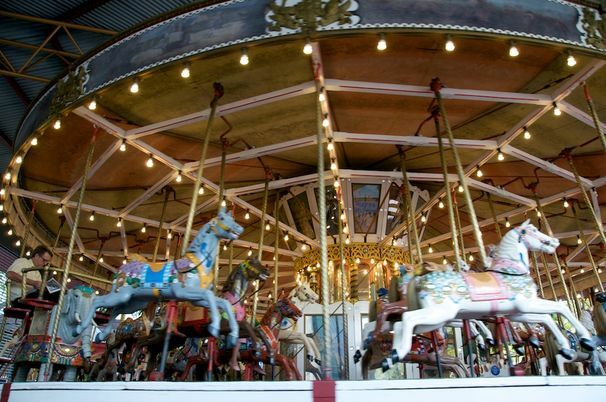 who hasn’t walked past the Carousel in Garema Place and thought to themselves; “If only I had a good reason…” Well, the good news is: you do. The Canberran has gained word that this Friday (11/11/11) at 1.00pm, plans are afoot for a spontaneous ride on the city’s most loved landmark. Trust us… they’ll envy you. Click here for details. Giddy up!